Airship Ventures: Finally made it! 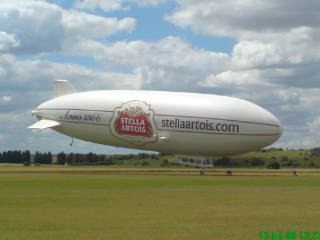 The weather finally let up today and Zeppelin NT #4, aka 'Star of London' arrives at Damyns Hall airfield in London. Thanks to Ruth for sending the picture!